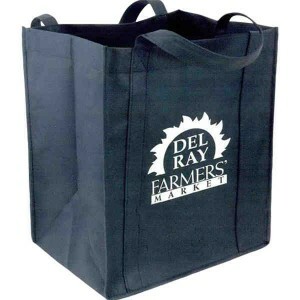 Recycled grocery totes are the hottest item around. Many grocery clerks will look at you with “You didn’t bring your own bag?” look. 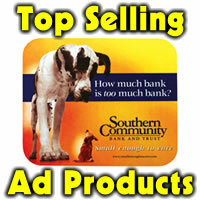 Why not get your logo or slogan on bags and let your clients and customers get you name out? Available in a rainbow of colors, there’s something for almost everyone’s color scheme. Imprint area is 5″ wide x 13″ high and will be noticed when people use the bags. Colors include ocean blue, navy, forest, royal, red, orange, pink, brown, burgundy, white, tan, black, aqua, purple, gray and khaki. With removable polypropylene insert for added support, these bags will be one of the most useful items you can hand out. Prices start at 1.88 at 100 bags with a 50.00 set up.